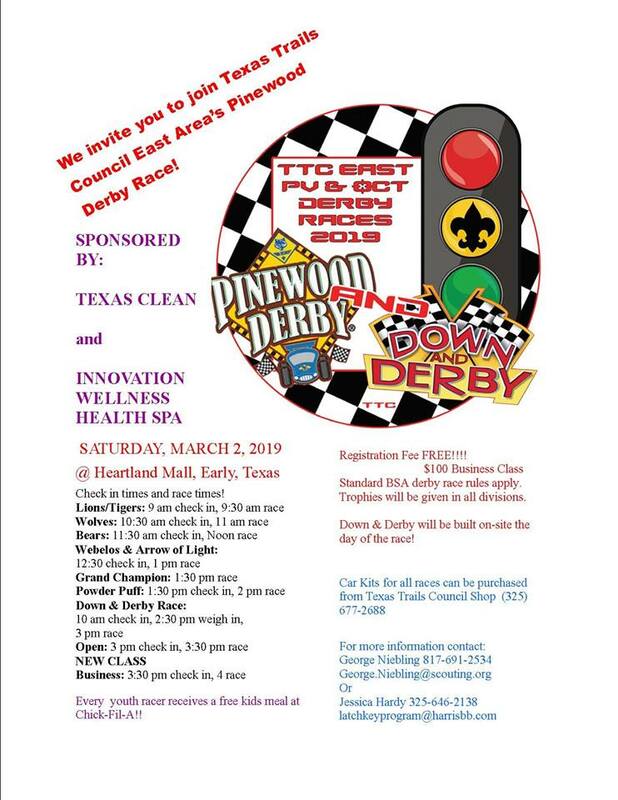 Due the generous contributions of "Texas Clean" and "Innovation Wellness Health Spa" of Brownwood, there is no longer a registration fee for the Pinewood Derby or the Down and Derby. However, please still register online so that we have your information for the events. 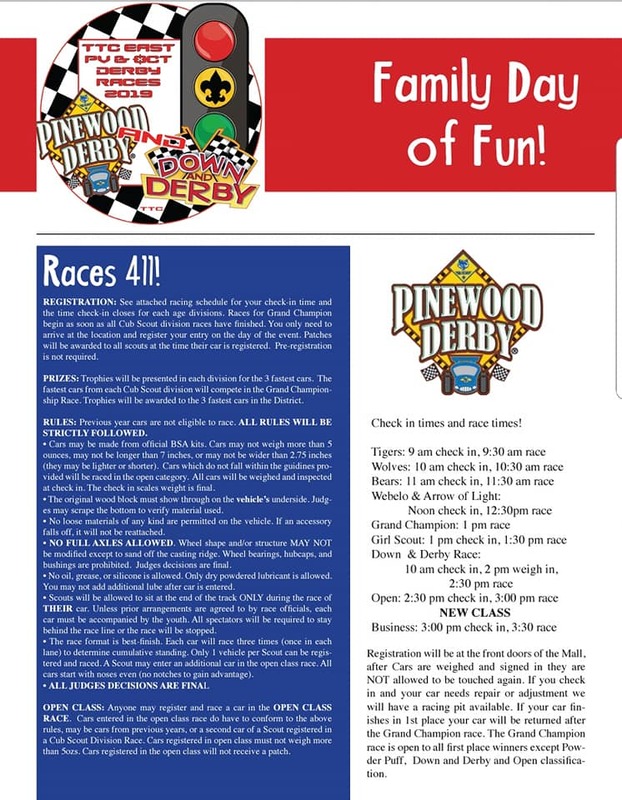 Download the SA-East Pinewood Derby Flyer here. 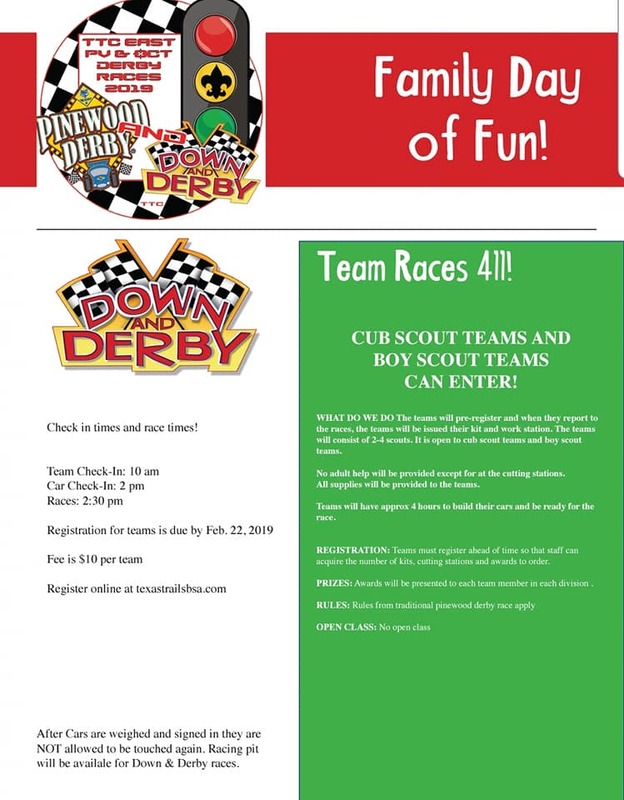 Reminder: Due the generous contributions of "Texas Clean" and "Innovation Wellness Health Spa" of Brownwood, there is no longer a registration fee for the Pinewood Derby or the Down and Derby. However, please still register online so that we have your information for the events.